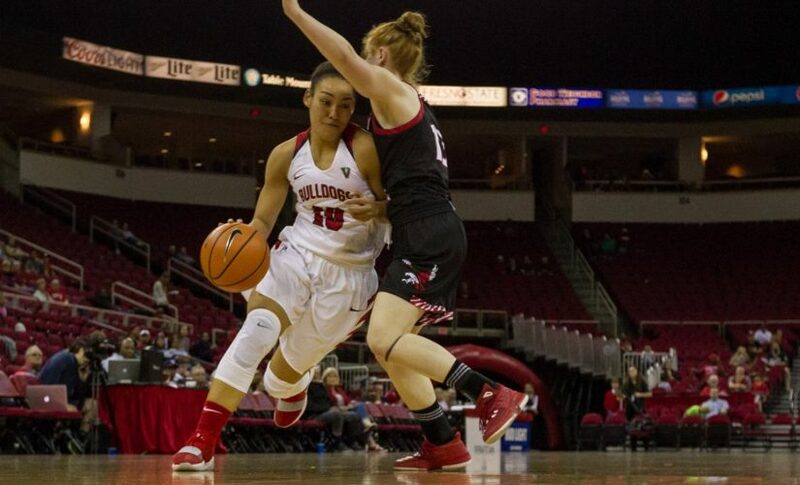 The Fresno State women’s basketball team was able to take another Mountain West win against Utah State in its conference home opener on Wednesday at the Save Mart Center 57-56. Both teams had a slow start in the first quarter. 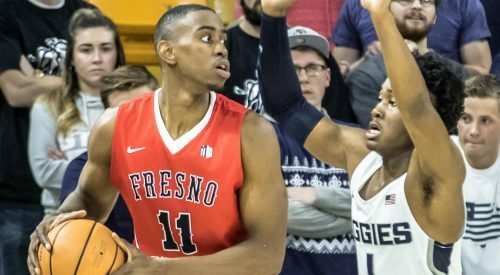 The Aggies shot 37.5 percent from the field while the ‘Dogs converted 21.4 percent of its shots. Aggies took the quarter 13-8. 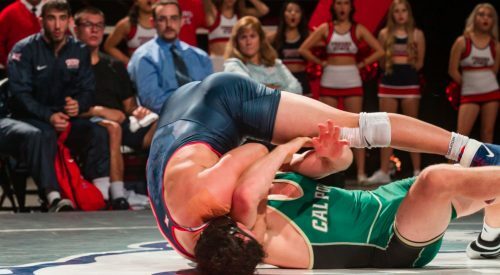 In the second quater, the ‘Dogs improved to 50 percent from the field to score sixteen points. Freshman Aly Gamez led with eight of those points. Utah State fired back with eighteen points to secure their lead going into the half, 31-24. Coming out from the half, the ‘Dogs came out firing. They scored 22 points while holding Utah State to thirteen to take the lead 46-44. Candice White proved to be pivotal in the fourth quarter. She sank in a pair of free throws with just under a minute remaining to bring the ‘Dogs to a 1-point game. Still down, White drove to the bucket and got fouled with just under 10 seconds to go in the contest. She made both free throws and secured the win for the ‘Dogs 57-56. “I thought she had great composure. We drew up about 30 plays but I thought we did a good job using the time,” head coach Jaime White said. White went 4-of-4 from the free throw line to set the Mountain West record for most consecutive free throws made to 61 in a row. She passed TCU’s Emily Carter with 60 from 2010-11. “I just go up there and keep my focus. That’s what free throws are to me, focus,” White said. White was also a top-scorer in the contest behind Gamez. She scored 15 points and collected 4 rebounds and 2 assists. Gamez recorded 17 points and set a seaon best 3-of-5 from behind the arc. The ‘Dogs improved to 2-1 in Mountain West play and 7-7 overall. The ‘Dogs will host Colorado State in its second Mountain West home game of the season on Dec. 6.